Agribusiness is the way to go for Africa. What is the role of African Universities? As part of FARA’s 15th anniversary celebrations, RUFORUM held a two day consultation with deans and principals of African Schools/faculties and related sciences in Johannesburg, South Africa. 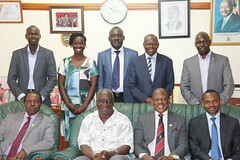 It focused on developing RUFORUM’s second strategic and third business plan. Over 20 deans, principles and heads of Departments for Agricultural institutions and other private sector stakeholders from Africa participated in this land mark event in the drive for the promotion of Agricultural education at African Universities as Smart agricultural education strategy. With the support and commitment from Rockefeller foundation, The African Union Commission and Bill and Melinda Gates foundation to Higher education in Africa. 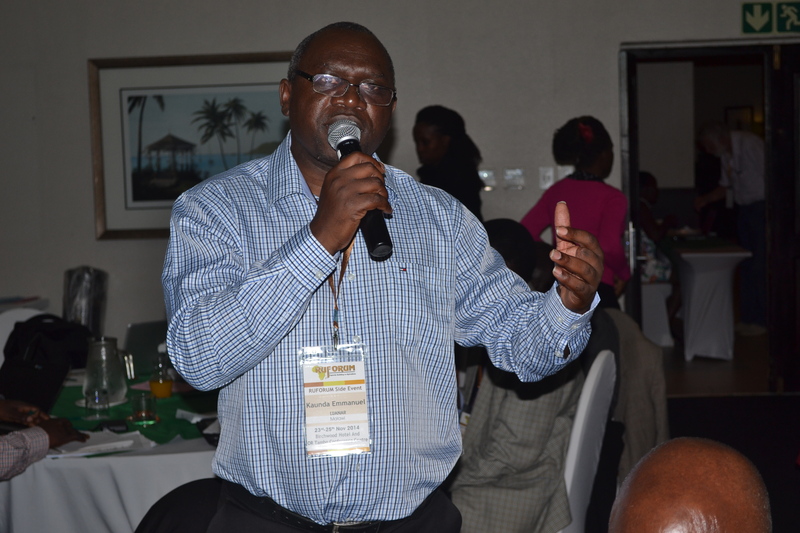 Prof. Adipala the Executive secretary of RUFORUM welcomed the participants and gave the opening remarks. The current strategic and business plan for RUFORUM will expire in 2015 and this consultation is part of the process to initiate the strategic plan for 2016-2020. Because RUFORUM membership has since enlarged to 42 Universities in 19 African countries in Eastern, Central and Southern Africa, it has to take position to contribute to the new frameworks and initiatives at the continental level. The private sector was consulted to find out the specific skills and competences required for Agricultural graduates in Africa. An African journal of Rural Development (AJRD) was launched and a RUFORUM Documentary premiered. Agribusiness is the way to go for Africa. The participants expressed a unanimous commitment and declared that Africa needs to be globally competitive in terms of Agricultural production. They are committed to contributing to the establishment of an African Agribusiness Chamber and capitalize on the opportunities that Africa has as a continent. Building skills of younger generations was something that was echoed by many. It was also agreed that the private sector has to reach out to Universities for collaboration because this is critical for partnerships. Universities need not to see themselves as Ivory towers because they cannot exist in isolation. What came out strongly was the need to teach agriculture beyond production but rather to in cooperate other skills such as using ICTs, negotiation and communication skills. RUFORUM was commended for the good work on the continent and challenged to carry out a research to find out what happens to Agriculture graduates when they leave the Universities. What becomes of them 5-10 years later. Prof. Adipala of RUFORUM challenged the group to help mentor University students to not only think about the money but rather to change their attitudes, such that they can give back to the communities that contributed to who they have turned out to be.We need ,to ensure that Agriculture becomes the engine of Africa’s economy both socially and economically he said.